Most people do not negotiate their salary. At least that’s what people think but the salary negotiation process actually starts in the job post. Employers have the goal of getting the best candidate at the lowest acceptable pay so they begin the process by not including the salary range or minimum salary in the advertisements of a job opening. I know one woman who looked at 189 job openings and only 4 had any reference to the pay. Employers continue the process by getting your salary history and desired salary before they bring candidates in for an interview. They refer back to this information after deciding whom to hire. Often job offers will be 10% higher than the current salary or the stated desired salary regardless of where accomplishments, experience, and education put a person in the salary range for the job. Typically, candidates don’t think about salary negotiation until the job is offered to them. At that point two-thirds of the negotiation has occurred. Would a marathoner end the Boston Marathon after completing Heartbreak Hill? No! Heartbreak Hill is the climax of the race. As the saying goes, it’s all-downhill from there but the finish line still needs to be crossed. Similarly the job offer is the climax of the job search but we still need to finish the race by ensuring we get the market value for the job by making the business argument for higher pay. I recommend candidates incorporate salary negotiation throughout the entire process since the employer does. Let’s start with the resume. A good resume will be results oriented; include “action” words such as lead, initiated, designed, and completed; and will put some quantification to the results, i.e. 8% conversion rate, designed 10 new products, and processed 10% more. These are great starts but one more element is needed to work towards the end goal of market value for the job – the money. All employees are either part of a cost or revenue center. To truly negotiate more pay one needs to show how s/he saves costs or adds revenue to the company. Unfortunately, the resume rarely drills down to the dollars and cents of the candidate’s accomplishments. The candidate should take the 8% conversion rate from the example above one step further and calculate the revenue generated with that 8% conversion rate. For example, this conversion rate could mean 2000 sales at an average price of $1,000 per sale. The 8% conversion rate would equal $2,000,000 in sales. Do you think $2,000,000 will resonate more than 8%? Use some comparisons to add to the impact of the 8% conversion rate. Is 8% higher than the company norm? Is 8% higher than the industry average? If so, what is the dollar amount of the unexpected incremental revenue from the 8% conversion rate? Let’s say the company average is a 4% conversion rate. That means half of the revenue was expected and the other half – $1,000,000 – was your amazing above-and-beyond contribution. 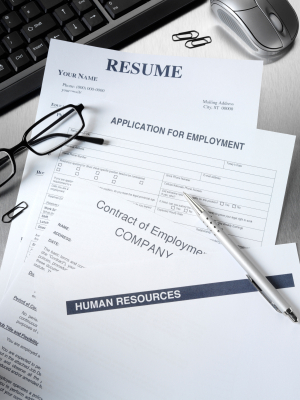 Rewriting the resume will take some time and effort but the impact of such changes will be three-fold. Firstly, you will stand out even more from the rest of the candidates helping you to get the next job sooner. Secondly, you will be talking in the true language of business – money. For a business, any business, to stay viable the profitability of the organization is tantamount thus money is always part of every business decision. Hiring is a business decision and money is part of the decision so let’s talk money. Finally, you are laying the groundwork for the last stage of your salary negotiation. The salary included in the job offer will be lower than the best salary available for the job and you will be ready for it. You will simply emphasize what was in your resume instead of needing to start a new argument at this stage of the hiring process. Stating you know the salary offered is lower than the market value PLUS you will give your new company the same kind of results as the extra $1,000,000 you provided your current employer will be a breeze. I bet the hiring manager can find $10,000, $20,000 or more in salary to gain $1,000,000 more in revenue. This entry was posted on January 17, 2013 by Katie Donovan in Equal Pay, Negotiating Tactics, Salary Negotiations and tagged financial contribution, hiring, job posts, resume writing, resumes.